Conductor Kevin Bartsch, also an EMT, acted quickly to save a life on Good Friday. Bartsch’s life-saving heroics make him a very strong contender for a new award: TWU Local 100’s Transit Heroes Award. “Our members do great things above and below the streets of NYC all the time,” Local 100 President Tony Utano said “They deserve to be recognized and honored by their union, at their Union Hall.” The N.Y. Daily News has held an annual award contest in Manhattan since 2012. The News, however, informed the union earlier this year that it was discontinuing the program. Utano was already considering starting TWU’s “Transit Heroes” when the News pulled the plug. Transit Heroes will honor transit workers who do exceptional deeds for their riders, co-workers or communities. The Communications Staff will collect nominations in the spring and summer. The elected officers on the Executive Committee will then vote on this year’s winners. An exact date for the event has not yet been selected. 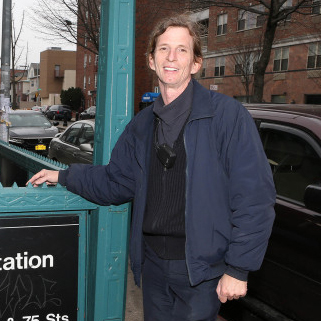 To nominate a Transit Hero, email communications@twulocal100.org. Include the full name of the candidate and an explanation of why they deserve recognition. Include your contact information (cell phone and email) and the title, work location and contact information (if known) of the candidate. We anticipate five to 10 awards being issued at a special event in the fall.